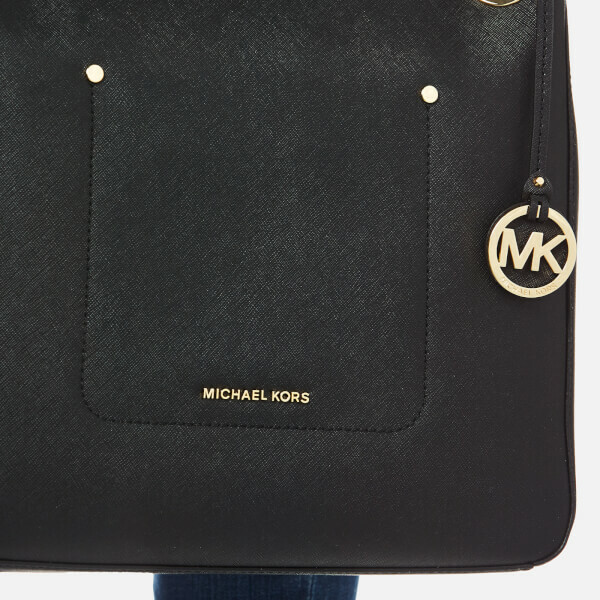 Women’s ‘Walsh’ black leather tote bag with gold-tone hardware from MICHAEL MICHAEL KORS. 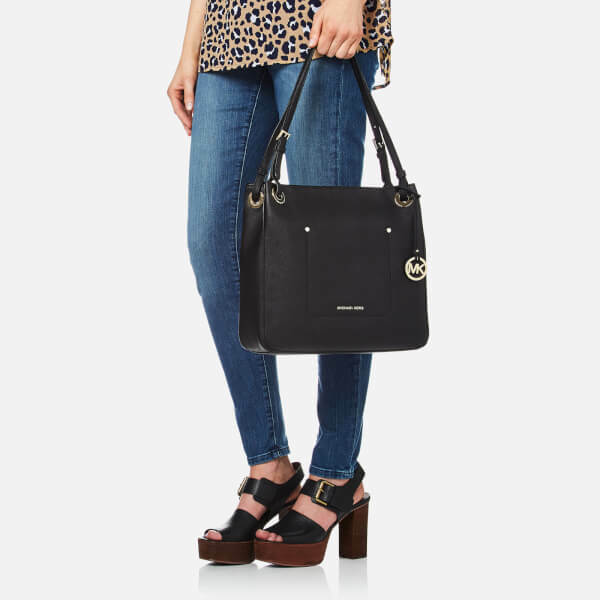 Crafted from Saffiano textured leather, the medium tote bag features a top zip closure that opens to reveal a lined interior with two slip pockets. 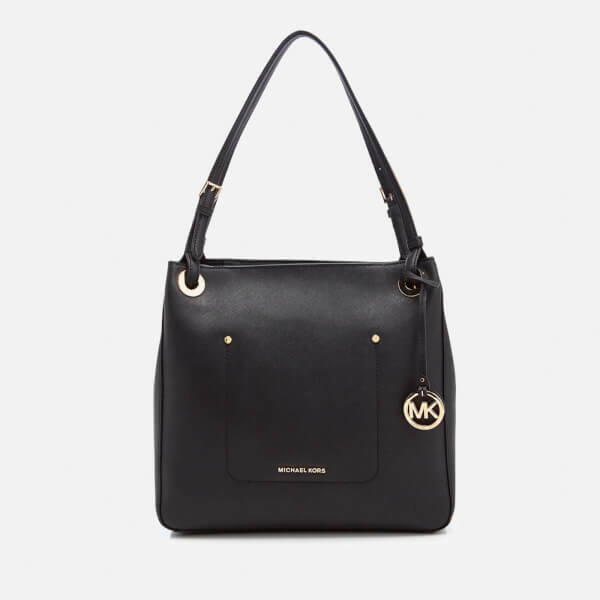 Transported via buckle adjustable top handles, the handbag is finished with a back slip pocket, a metal ‘MK’ logo charm and signature branding to the front. 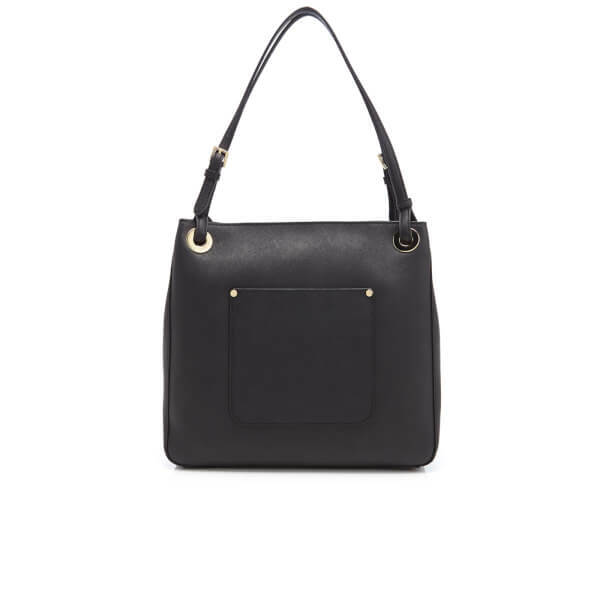 Outer: Saffiano Leather. Lining: Nylon/Polyester. Dimensions: H: 29cm x W: 31cm x D: 11cm.